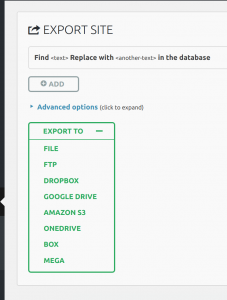 Unlimited Extension extends the functionality of All-in-One WP Migration plugin, allowing you to import backups larger than 500 MB. The tool can be used in combination with any other All-in-One WP Migration plugin extensions to facilitate importing your websites/network of sites directly from your cloud/storage. The tool functions as an extension to the plugin, so the All-in-One WP Migration plugin is required to be installed for it to work. You will then be redirected to the cloud storage or to the specific file – depending on the option that you have chosen. The import process will start in a regular way, but you will be able to import a backup larger than 500 MB, in the same manner, you would import a smaller one. The import has an additional step which warns you that your website will be overwritten by the new backup including database, media, plugins and themes. This is the last opportunity to cancel the process. After pressing ‘Proceed’ you cannot stop the import process. How does one update this plugin? In order to update Unlimited extension, you may go to Plugins page inside your WordPress installation in order to list all installed plugins. Then locate the application and see if there is an indication on its line that a newer version is available. If there is – there will be a link for updating ‘Update Now’, you will need to click on this link to proceed with the update. If there is no newer version than yours, there will be ni indication for a possible update. If you don’t get a notification that the plugin needs updating, please click on “check for updates” under the plugin name on the plugins page and install any updates provided. I am getting an error that states that I need to update my plugin for the migration to another site but it appears the plugin is current. When I select “check for updates” it spins and does nothing. What is the version of your Unlimited Extension? I am trying to upgrade this extension, but i keep getting the error message: “Update Failed: Could not create directory.” How should this be handled? Can you send your Purchase Email to support@servmask.com so that we can check? I just purchase your unlimited extension and have achieved 0% database restoration after 20 minutes. I am using Amazon AWS as my hosting. Is this not compatible? I’m in need of the extra file size to import a backup of my website and that was my reason for buying the unlimited extension to begin with. Now I’m kind of stuck because I need to restore my website from that larger file. If you did a full backup of your website, everything within wp-content has already been included in the backup. Pages, content, layouts, and settings are stored in the database. 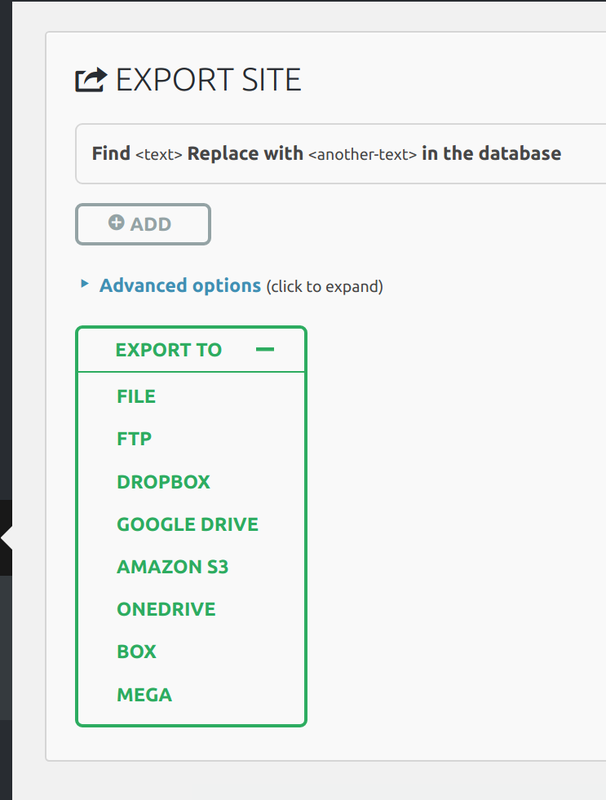 We have a tool (http://traktor.servmask.com) that you can drag and drop the backup and browse to see if everything you need is there. On restore, everything you see in the backup will be restored. Stuck at restoring database 99%. The site will load but i cannot get to admin panel?? Below is the error. does it include the “Automatic backups” function either? The Unlimited Extension does not include the auto-backup feature. Si tienes problemas para migrar sitios grandes, solo sube tu archivo de respaldo por FTP a la carpeta donde se hacen los respaldos, sobre todo su tu servidor es compartido ya que estos son mas limitados en su capacidad para subir archivos. I have Unlimited version of this plugin to migrate a WP website, but some tables and files are missing although I’ve received the message informing me about the successful installation. Could you contact us at support@servmask.com directly? Just bought the unlimited version, however the left menu have no the All in one … logo, cannot find it. Please make sure to install All-in-One WP Migration (free version) as a base plugin also. If I am downloading the export of 3GB file to my local PC it fails after about 2GB download. How can this be fix? Please log in using cPanel File Manager or FTP via FileZilla and download your backup directly from wp-content/ai1wm-backups. I have the unlimited extension, but when I try to import, I get a message that I must “update the plugin”. I go to my plugins page and check for updates, but there is none. I purchased the Unlimited Extension, installed the zip. Question 1: do both basic and unlimited plugins show up in the Plugins list page? You will have to install both plugins – basic version (All-in-One WP Migration) and Unlimited Extension. Purchase ID is not needed. Just make sure you have both the basic and Unlimited Extension installed and the message in your Question 3. will not show up. Hello, I have installed the Unlimeted Extention. The file that you are trying to import is over the maximum upload file size limit of 512 MB. You can remove this restriction by purchasing our Unlimited Extension. I have already de/reactivated the plugins. Please update the plugin and Unlimited Extension to the latest version.